I love being able to run for fun again. I love being able to run with my favourites again. I love being unintentionally pushed to keep running hard by those faster than me again. I love running, huffing and puffing, sometimes even wheezing, and being able to converse with real people, other than myself, again. I love having a running partner in crime again. I love, love, love these favourites! Virtual Running Partner is again Real Running Partner! For two weeks I have been ants in my pants excited about tonight’s run. 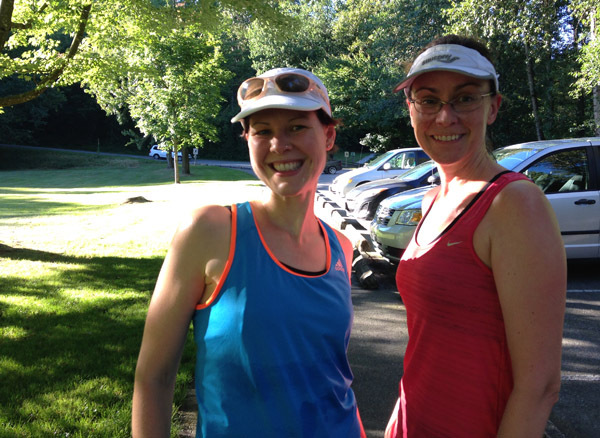 It all started after my failed Scotiabank half when I got a message from my virtual running partner urging me to come for a run with the girls. 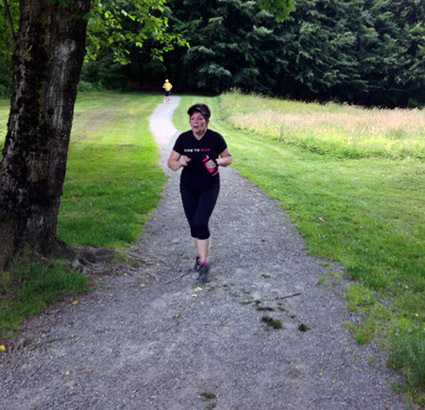 Every Tuesday they run a hilly, 6k trails loop about 30-40 minutes from home. It’s a social run, she said, no expectations. I didn’t know how it would work with our at-home evening schedule, but Big Ring thought it a great idea, so I packed a bag full of running gear and headed out after work. And oh my goodness, it was love at first stride! To run with people again, amazing. But to run with these people, people I love, people who I can carry conversations with no problem, people who make me laugh, who make me think, who make me stop checking my Garmin every two seconds, who make me want to keep running. Following that run, I was smiling for hours, even days later. And tonight, same thing. I went out with my Speedy Hill Hero, leading the pack, which, I know we weren’t going anywhere near her top speed, but still, I was running WITH her – huge ego boost! And then to discover how even more alike Virtual Running Partner and I are than I had initially believed from our obsessive running shoe hang ups to stopping and walking at the first suggestion of it, but stubbornly not stopping if no suggestion is made no matter how long or hard the hill. And the sweetness of Miss Rose willing to give you her last drop of water no matter how thirsty she herself is. Speedy Hill Hero is the reason I don’t get shots while running; I’m too focused on keeping pace with her! I have spent more than a year trying to find suitable running partners in my neck of the woods to no avail. I put up posters in my building and down at the market where I know there’s a vast running community, but nothing. Acquaintances sent me contact info for people they thought would be interested, but it would result in nothing but silence after sending an introductory email. I was even introduced to a woman, face to face, at a race a couple months ago who gave me her number and told me to text, which I did, but nothing back, no response. I was beginning to get a serious complex. But you know maybe it was the running gods telling me something. Some things you can’t change. Miss Rose’s sweetness never goes unnoticed. Pace: No clue. No Garmin. 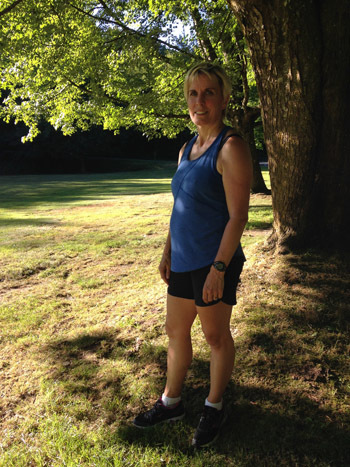 This entry was posted in Diabetes, Running and tagged hill running, running favourites, trail running. Bookmark the permalink. Ahhh…yes the running God will always lead us to the people that matter.